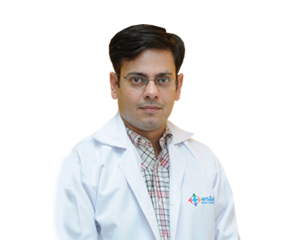 The Department of Pulmonary and Sleep Medicine at Asian Institute of Medical Sciences is headed by Dr. Manav Manchanda (MD, Respiratory Medicine and DNB, Critical Care). The department caters to patients of various respiratory disorders like Bronchial Asthma, COPD, Tuberculosis, Pneumonia, Lung Cancer and Interstitial Lung Diseases. 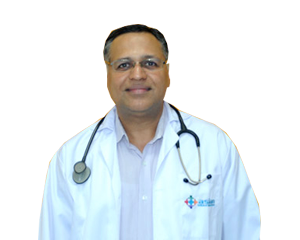 The department is equipped with latest bronchoscopic facility for both adults and pediatrics. We also have an excellent facility for handling serious respiratory diseases in ICU, which has latest ventilators and BiPAP support. Spirometry: It is used to measure how well the lungs exhale. The information gathered during this test is useful in diagnosing certain types of lung disorders, but is most useful when assessing for obstructive lung diseases (especially asthma and chronic obstructive pulmonary disease, COPD). Lung volume measurement: It detects restrictive lung diseases. In this set of diseases, a person cannot inhale a normal volume of air. Restrictive lung diseases may be caused by inflammation or scarring of the lung tissue (interstitial lung disease) or by abnormalities of the muscles or skeleton of the chest wall.